Happy Monday all! If you follow me on Instagram, you probably know that Mike and I just returned last week from vacation in beautiful St. John, but i'm finally getting back in the swing of things around here! Last week was so hectic after getting home mid-week and diving full force into work. This weekend was finally a chance to relax, catch up on house work and do a little baking! I'm not always a big sweets gal, but occasionally I do like a nice dessert. I've been on a big butterscotch kick lately and thought i'd try my hand at a batch of butterscotch blondies. 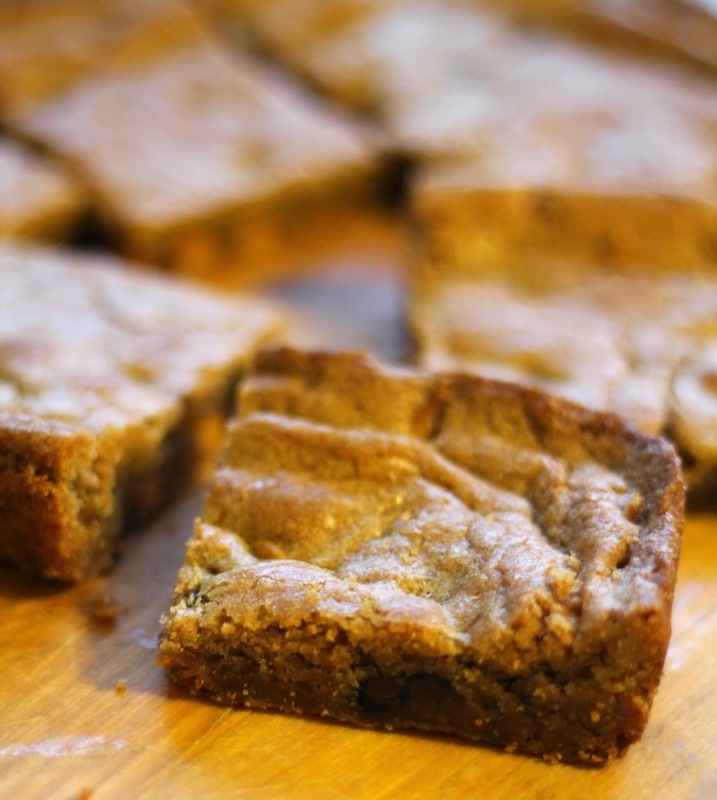 I just love blondies - the underrated, buttery, golden cousin of the brownie. Of course, I couldn't leave out the chocolate entirely, so I added just a few chocolate chips in with the butterscotch chips for a hint of chocolatey goodness. These blondies are so simple to whip up - they would even make a great kid friendly cooking project. The results are a chewy, buttery treat, filled with butterscotch and chocolate. Preheat oven to 350 and butter a 9X9 baking dish. In a bowl, cream together room temperature butter with both white and brown sugars. Add the egg and vanilla and mix until smooth. Add baking powder, flour, and salt, and mix until well combined. Fold in chocolate chips. Add batter to the buttered baking dish and bake for 30 minutes, or until golden and a toothpick inserted in the center comes out clean. Enjoy!